What happens when the Indian grace of a classic art form infuses with a mystical folk tale of another land? It produces an unfathomable masterpiece. Witness Sharmila Mukherjee’s choreography and visualization brilliantly blending with Pyotr Illyich Tchaikovsky’s vivid storytelling SWANLAKE translated into HANSIKA. This ballet stemming from a Russian folktale recounts the story of Odette, a princess turned into a swan by an evil sorcerer’s curse. Adapting Swan Lake in Odissi enhanced Sanjali's efforts to link Indian dance forms with thematic presentations of international stature and recognition. 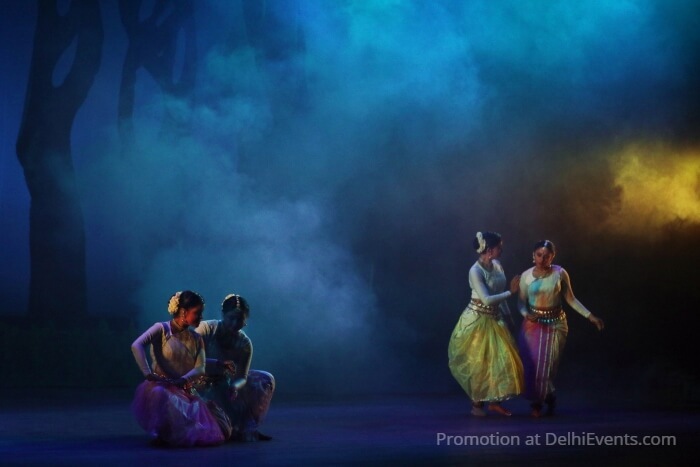 Through this production, the humane aspect of the narrative-(depicting an array of human emotions in one frame) as well as how ballet and libretto can be adapted to Indian classical raga (music), taal (rhythm) and laya (pace of the rhythm) has been explored. The score for the production is original, replete with Indian classical elements, yet, infused with Tchaikovsky’s theme music. HANSIKA, an audio-visual treat that would enthrall your senses to the core, casting a spell on your whole being. Gear up to be mesmerized and magically transported to another world of love, envy and sorcery.